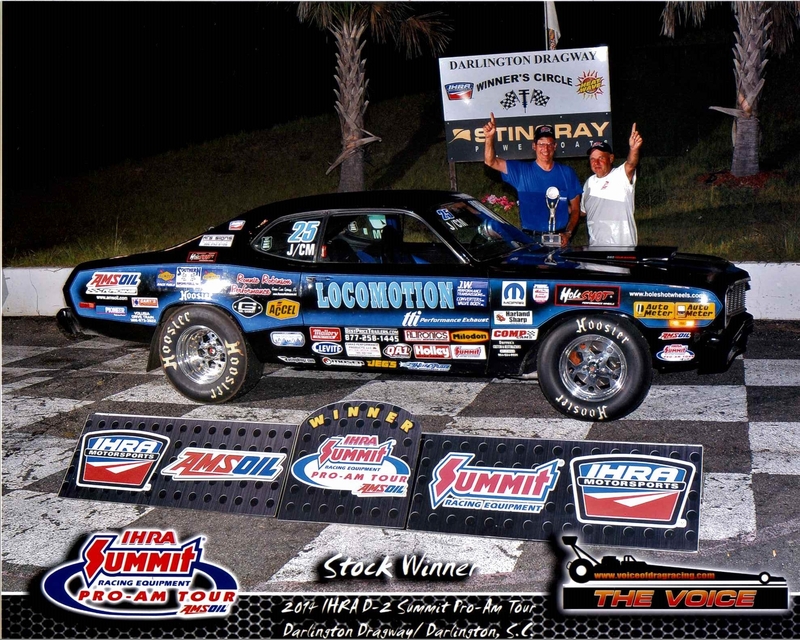 Congratulations to Myron Piatek and Locomotion Racing, 2008, 2009 and 2014 Division 2 IHRA Champion! "Dyno test shown the gain of 1.9% hps, the increase displays in the diapasonum [interval or range] from 4430 to 8200 rpm." "Also I see the more consequent oil supply in the head - my pressure sensors in the oil channels of the cylinder head now shows 2.2 bars instead of of 1.9 before while engine works at the mid-range. [31.9 psi from 27.6 psi]"
I need another of your excellent scraper kits (Teflon) for our latest 928 race car which will be fitted with a 5.0 GT motor. BTW this will be kit number 5 I think and we have not had a single (oil related) failure on any since fitting your scrapers, we also use minimal oil! This is also using the factory breather system without any catch tank and on my own race car max revs is set at 7500 rpm which I use all of! We have received feedback and dyno testing indicated that the combined system below significantly improved the output of the stock engine from 4400 rpm and peaking over 3.5% at 7500 rpm. The above SBC Teflon® bladed pattern was made after a plastic template was sent to the customer, adjusted and then returned to us. "Got my scraper today, fits better than I could have imagined. Thanks for taking the time to make it perfect." Justin Nikulich, Pro-Flow Machine, Lisle, N.Y. I thought you might like to hear of our latest success. 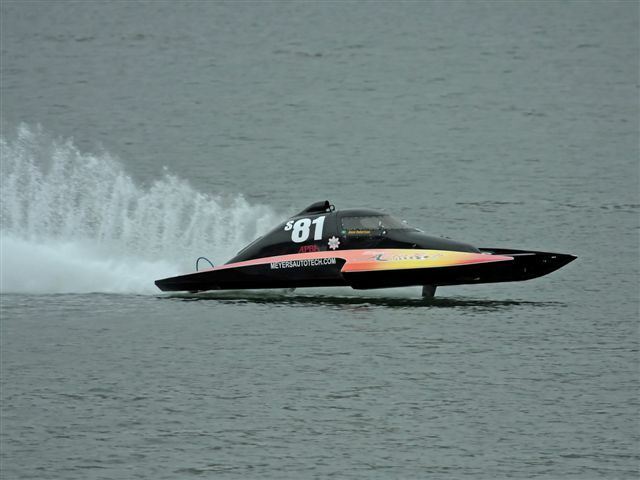 On April 25th 2010 in Moses Lake, WA we set a new world speed record for a 1 ¼ mile course with our 2.3 Ford powered APBA Hydroplane using your triple Teflon scraper. The old record had stood for over 10 years! I felt it appropriate to share my initial results after installing your Windage System for the SRT-4. Unfortunately, I am not a lab, and it was not the only change made. However, the other changes should have had little difference on performance. I put in a new set of plugs and wires, though there was no indication of a problem with spark, and could not tell any noticeable difference in the car from doing so. I also replaced the 3" Mandrel bent exhaust with a similar 3" Mandrel bent exhaust, which removed the muffler. (This could have gained 5-7 hp). 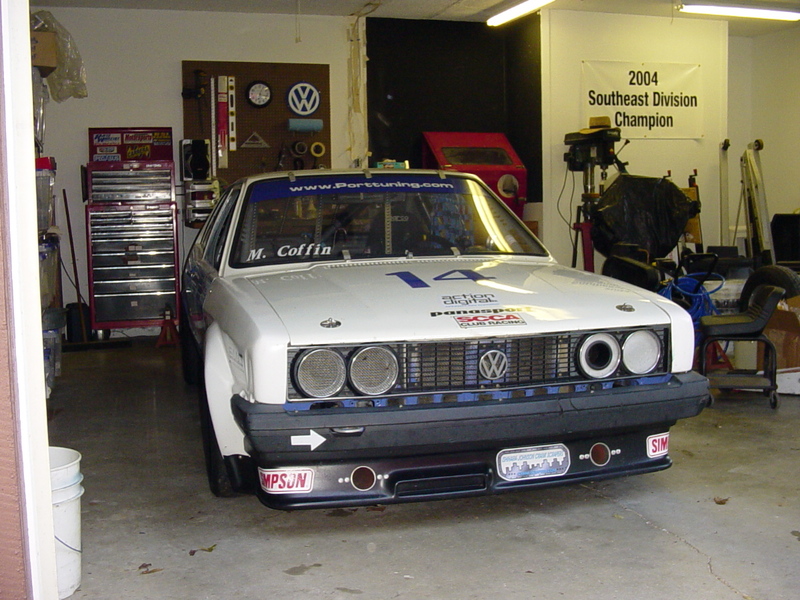 The only other real change made, was to put your windage system into a car that already had the balance shafts removed. We carried it to a 1/8 mile track. 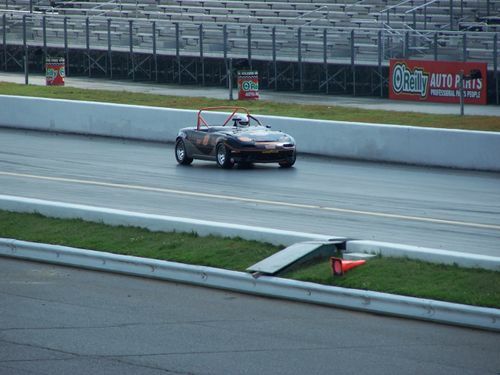 The previous trap speeds on the car were 87.45 mph in the 1/8. The new trap speed was 92.95, or about 40-45 hp of increase. Let's just say, I'd have been very happy with half that improvement, especially for the money spent. I'd recommend that system for anyone who wants to make power from their SRT-4! 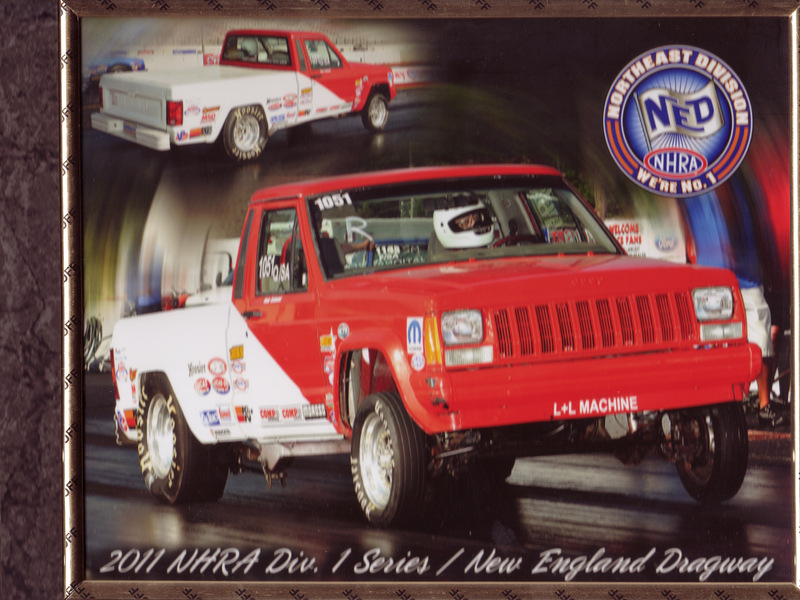 Congratulations Bill Edgeworth: current NHRA record holder for L/SA at -1.49 under the index ! 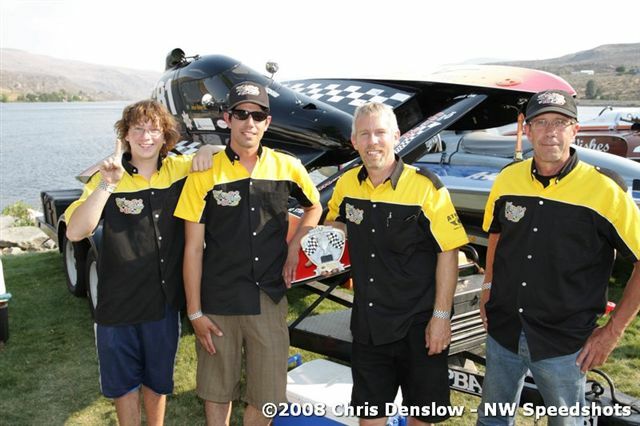 2008 was our first season in APBA 2.5 stock hydroplanes, and we used your triple scraper setup in our 2.3 Liter Ford engine. 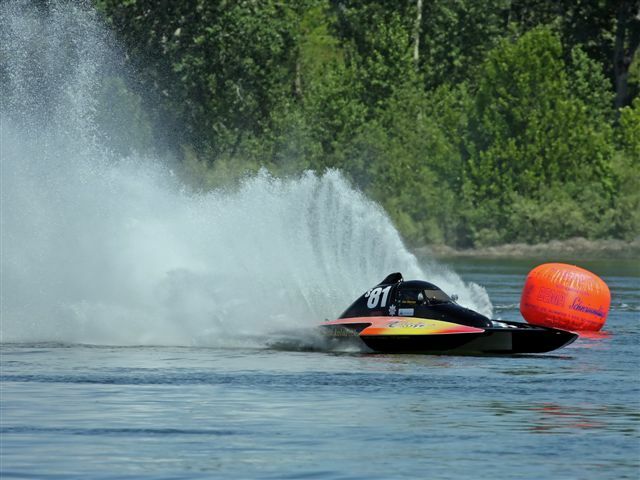 We won the very first race we entered in Yelm Washington, ran second several times, won again in Pateros Washington, and finished the season 5th place in national points. Not bad for our first year, but we’re looking to improve about four positions in 2009! 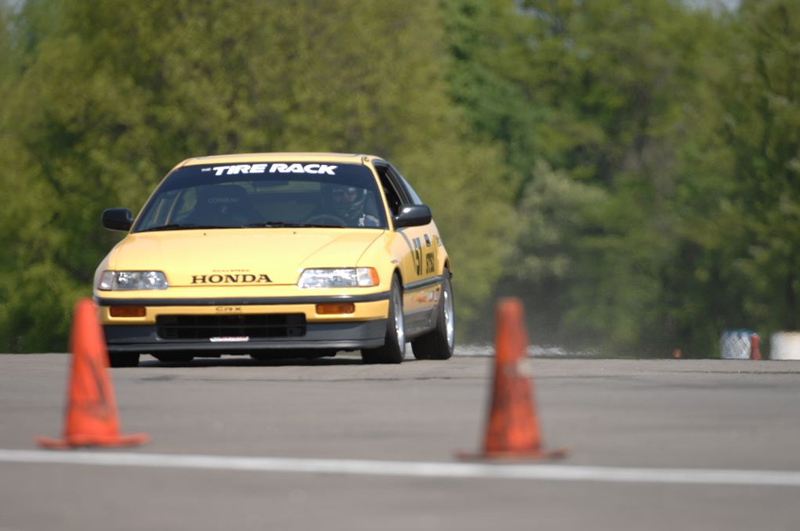 Congratulations to Jesse Prather, 2008 SCCA E Production National Champion! 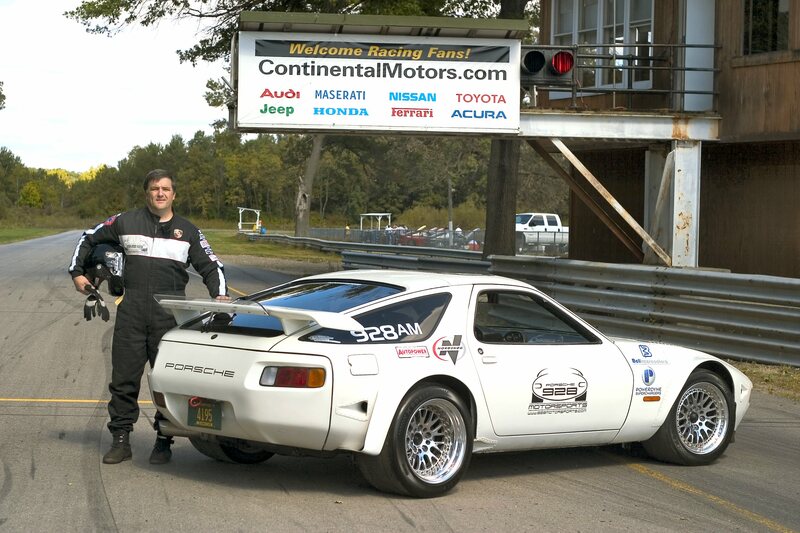 Congratulations to Rick Harris, 2008 SCCA F Production National Champion! Congratulations to Brian Robertson, 2006, 2007, 2008 Ohio Valley Region STS Class Champion! 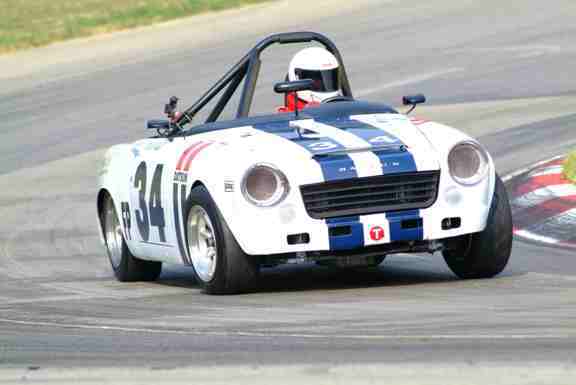 Congratulations to Jesse Prather, 2007 SCCA F Production National Champion! 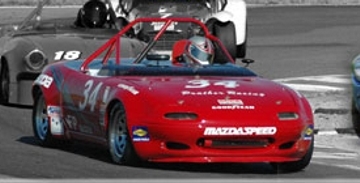 Congratulations to Jay Marlowe, 2007 SCCA G Production National Champion! 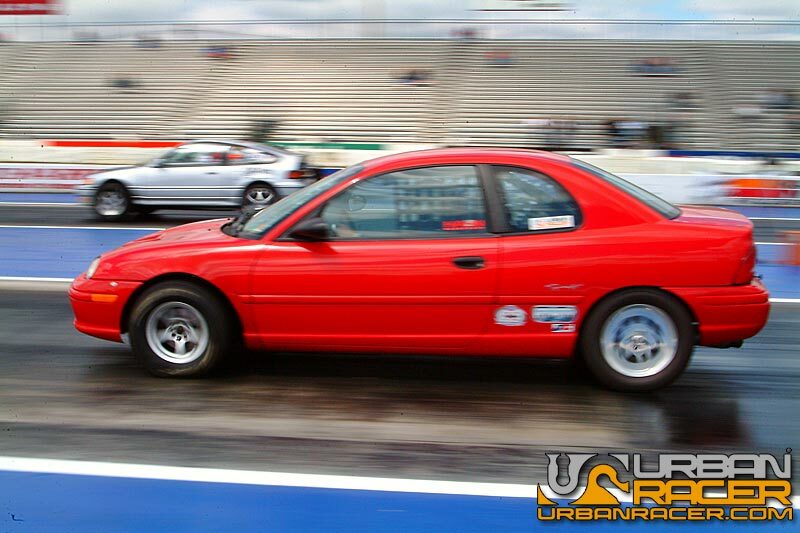 Congratulations to Chuck Mathis, 2007 SCCA G Production 2nd place! Congratulations to Carl Fausett: Third Place in the 2007 Pikes Peak Hill Climb open division! 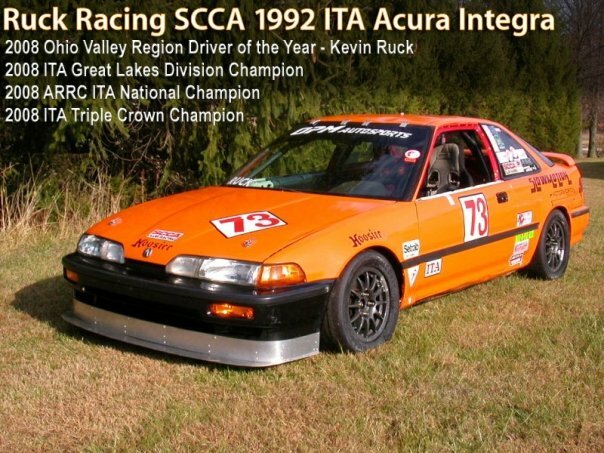 2006 SCCA G Production National Champion! Don't install an oil pressure gauge if you aren't planning to also install a crank scraper. The factory oil pressure warning light is set to come on at around 7-8psi. Your warning light probably never illuminates while driving. 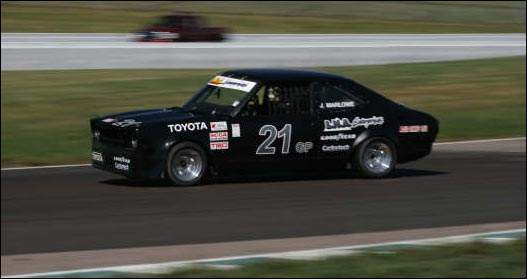 Once I installed an oil pressure gauge, I found that in the fast left hand corners (like T3 at Roebling) the car was dropping from 50PSI to around 16. Not good. Especially at 5000+ RPM. Even running a quart over full didn't help. Talk about too much information! 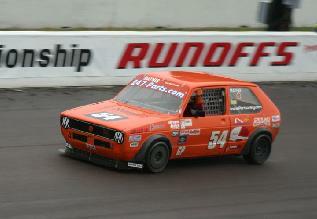 We installed one of the crank scrapers over the winter, and now the car holds full pressure everywhere on track. 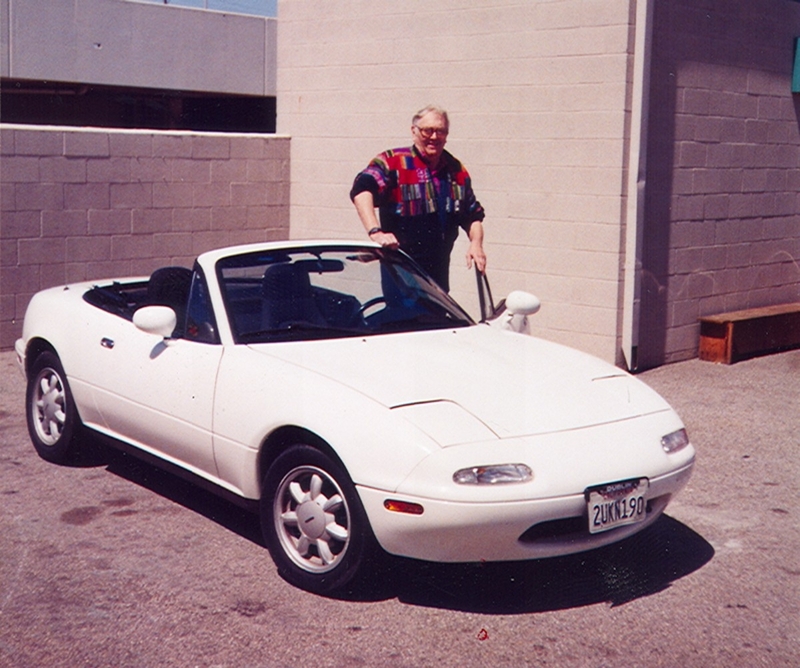 He wrote and said, "the crank scraper was the best mod for the 2.4 engine. There is a major and noticeable difference in mid range and high rpm. A must for any stratus owner looking to make a lot of power for a nice price; easy installation and a great hand crafted piece." Again, it is worth noting that this change alone showed a major power difference on an engine with 206,000 miles on it. Ed Peters, retired Chrysler engineer, active racer and owner of Magnum Force Engineering, performed back to back dyno tests today on the Ishihara-Johnson standard steel combination scraper, dual-windage tray and baffle setup for the 2.4 Dodge engine (see pictures below). Magnum Force Engineering has a state of the art environmentally controlled dyno room where, among other parameters, ambient air temperature of 71 degrees Fahrenheit was held to within +/- .5 degrees. Experimental conditions in the dyno room and for the engine were normalized for both back to back pulls. 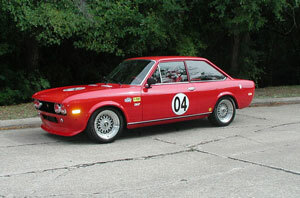 The tests were run on a normally aspirated 2.4 liter P.T. Cruiser engine with a modified engine management system allowing it to exceed the normal factory redline. The balance shafts in this engine were removed and, notably, it was equipped with the factory oil cooler for the SRT4 and P.T. Cruiser Turbo. The engine was equipped with a 195 degree F thermostat. 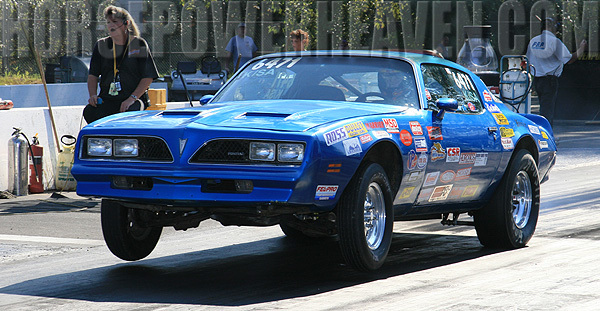 Five quarts of fresh Mobil 1 10W-40 synthetic oil were used during each pull. Prior to both pulls, the engine oil pan temperature (oil temperature in the reservoir) and coolant temperatures were allowed to stabilize. At each rpm increment in the tables below the temperatures were allowed to again stabilize in order to give an accurate reflection of the steady state operating conditions in the engine at that speed. 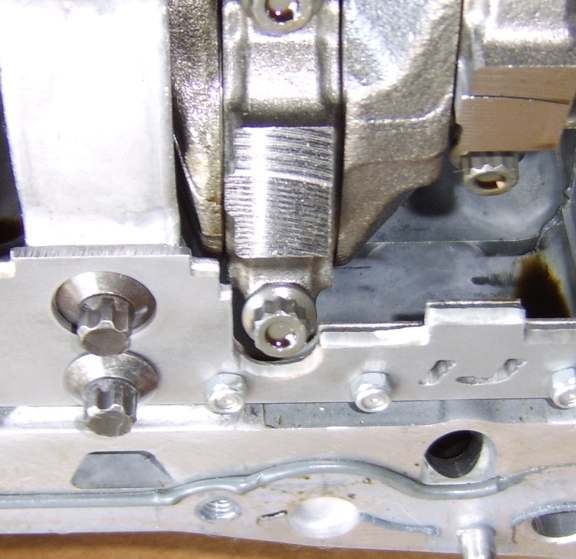 At peak rpms, use of the windage tray setup accompanied a 24 degree Fahrenheit drop in oil temperature, an 11 degree drop in coolant temperature and a 7 hp and 13 ftlb boost in power. Ed Peters remarked that "this setup is the most significant bolt-on change for oil and windage control that he has witnessed since 1986." 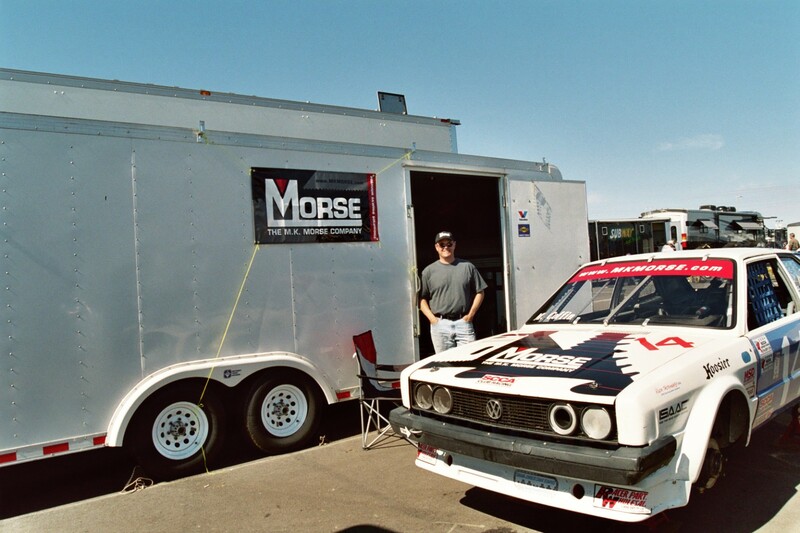 In 1986, while at Chrysler, Ed performed joint research with Mobil Oil on windage losses in the 2.2 Shelby Turbo engine. 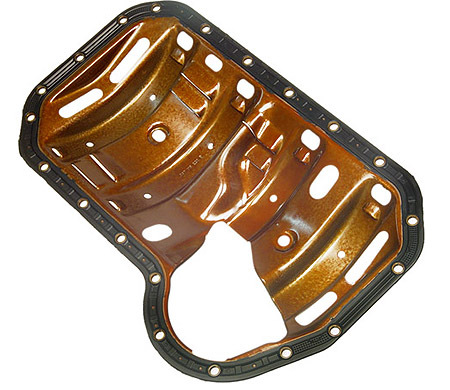 He developed a performance oil pan that regained 9 hp at 6000 rpm when using Mobil 1 oil. Earlier in his career he was involved with the Dodge Daytona / Plymouth Superbird that dominated NASCAR racing for a period of time. It is important to note that a turbocharged version of the 2.4 engine would have higher windage losses and oil heating due to the increased level of normal blow-by in the crankcase. Therefore even more benefit would be found in the use of a proper windage control system. 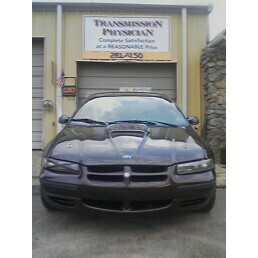 Dodge 2.4 NA P.T. Cruiser Engine -- balance shafts removed and Ishihara-Johnson standard steel crank scraper and dual windage tray setup with baffles and trap doors installed. "... I added a custom crank scraper fitted specifically to my crank/rod setup (I made the template and Kevin Johnson at crank-scrapers.com made one to my template) the DL1 data showed a 3-5 hp improvement at the wheels and 2-3 mph gain on the top end at Road Atlanta's back straight, with no other changes. And that was with WORSE air conditions (ambient temperature was higher, humidity was higher, and density was lower) when I went back to Road Atlanta after fitting the scraper. (March national vs. June national). This is on a full prep G-Production 1.5L Scirocco, making about 120 WHP at the time. "I'm convinced. If my competitors are dubious and not convinced, that's even better! I wish I had known about them when I raced ITC!" ".... Ich setze einen Kurbelwellenkratzer/Kurbelwellen- Ölhobel ein, der speziell auf mein Kurbelwellen/ Pleul Setup zugeschnitten ist (Ich fertigte eine Schablone und Kevin Johnson bei crank-scrapers.com fertigte den Kurbelwellenkratzer/Kurbelwellen- Ölhobel) die DL1 Daten zeigten eine Verbesserung um 3 bis 5 hp an den Rädern und 2 bis 3 mph mehr Endgewschwindigkeit am oberen Ende der Road Atlanta Gerade ohne andere Änderungen. Und das bei SCHLECHTEREN Bedingungen (höhere Umgebungstemperatur, die Luftfeuchtigkeit war höher und der Luftdruck geringer) als ich zur Road Atlanta zurückkehrte, nachdem ich den Kurbelwellenkratzer/Kurbelwellen- Ölhobel montiert hatte. (March national gegen June- National). Dieser befindet sich in einem voll Renntauglichen G- Production 1.5L Scirocco, der zu dieser Zeit etwa 120 WHp brachte. "Ich bin überzeugt! Wenn meine Gegner zweifeln und nicht überzeugt sind ist`s besser für mich! I wünschte, ich hätte davon gewusst, als ich ITC rennen gefahren bin!" ** Übersetzung von VW-Fan Thomas Schäfer. Vielen Dank! ... I have two engines that currently have a crank scraper/windage tray. 1. Nissan L-16 and 2. KA24e truck block. 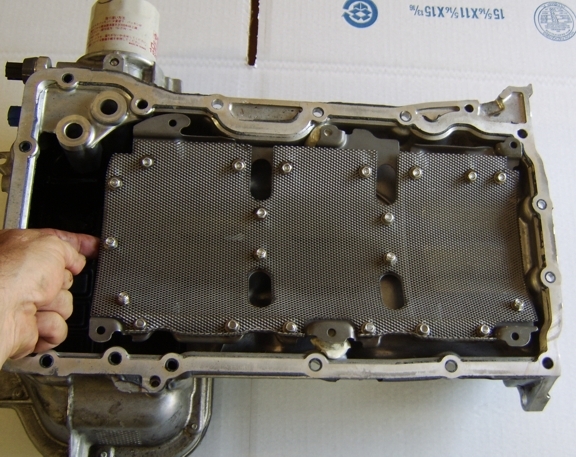 The engine I am running now is the L-16, and it is series champion in 2005 for this size of engine. To make a long story short, scraper(s) work ! Note: I only have a scraper on this engine. Why ? 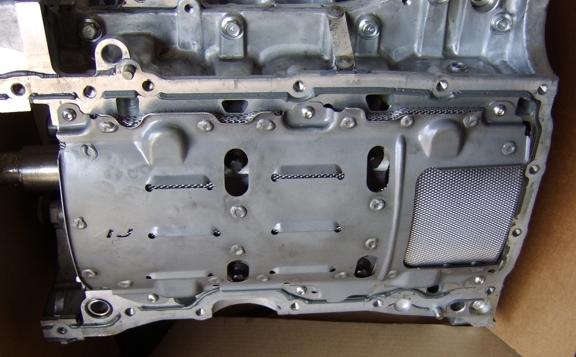 The engine ran previously without one and then installed. 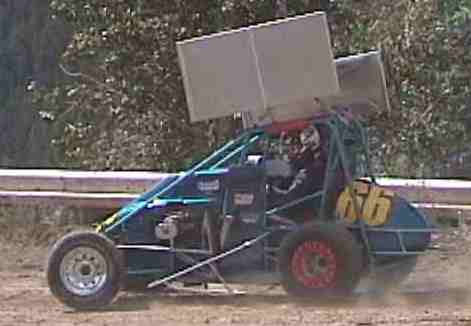 It's application is asphalt and dirt racing midget. We have a registering tach, with memory push button. Obviously, there are many, many conditions that would affect the performance of an engine, but, on a consistence base, we GAINED approximately two ways, rpm and quicker. Rpm- we gained approximately 100 to 200 rpm, in turn this got us right at the rpm needed for the cam to do its work (right at the "sweet" part of the cam) thus, the torque and horsepower is getting out of the engine and to the rear wheels, in turn, quicker (hp) and torque to get out of the corners. 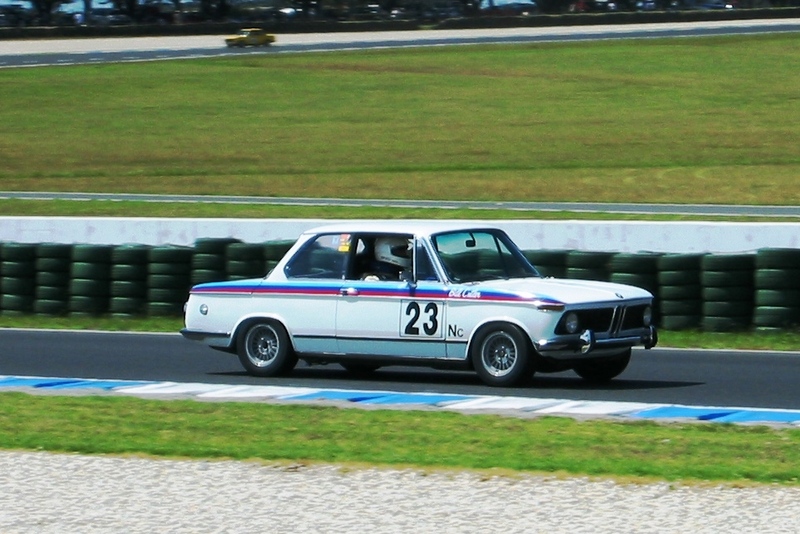 I recently bought from you a scraper for my BMW 2002 Historic Race Car (M10 engine), fitted it last week, and competed with the car just last weekend. How does an extra 600 rpm at the end of the main straights sound??? My lap times were consistently better by one second per lap, and over 3 races, of 5, 6, and 10 laps each, I posted 8 laps betted than my previous best. Engine and oil temperatures were lower than before (same ambient conditions). You may well get some orders from fellow 2002 racers here in Australia. 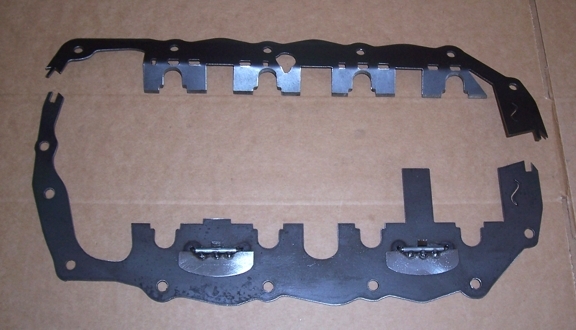 You made a Teflon® crank scraper for my Datsun Spl-311. What a difference.